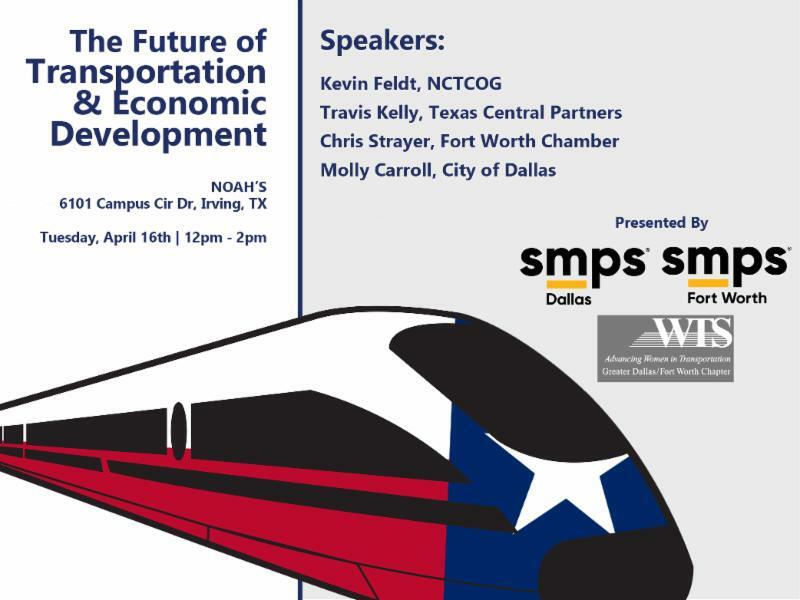 Due to a number of panelists being called upon by the Texas Legislature to testify about the planned Texas High Speed Rail project, a primary topic of tomorrow's event, we are rescheduling the Future of Transportation and Economic Development panel discussion. We will update you on a new date and venue details as soon as possible as we work with our panelists' busy schedules. If you registered for this event, we will begin to process refunds shortly. Please allow a few days for the refunds to process.